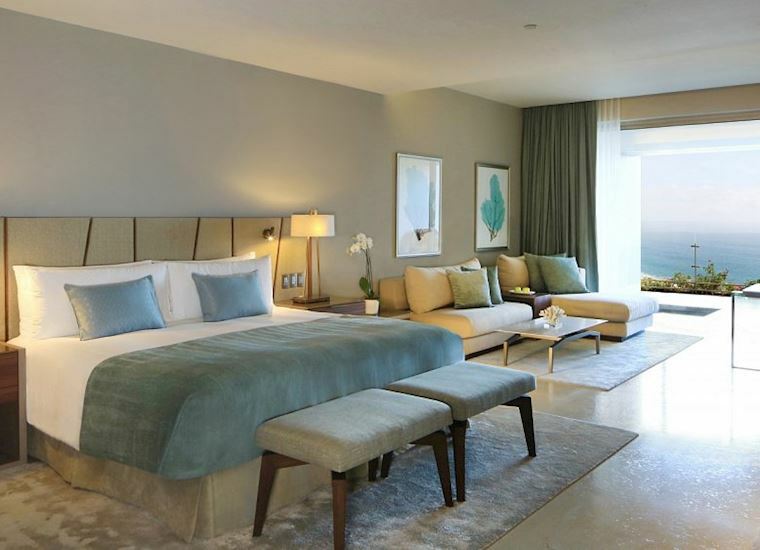 Escape to the epitome of luxury in our stylishly appointed suites, all over 1,100 sq. 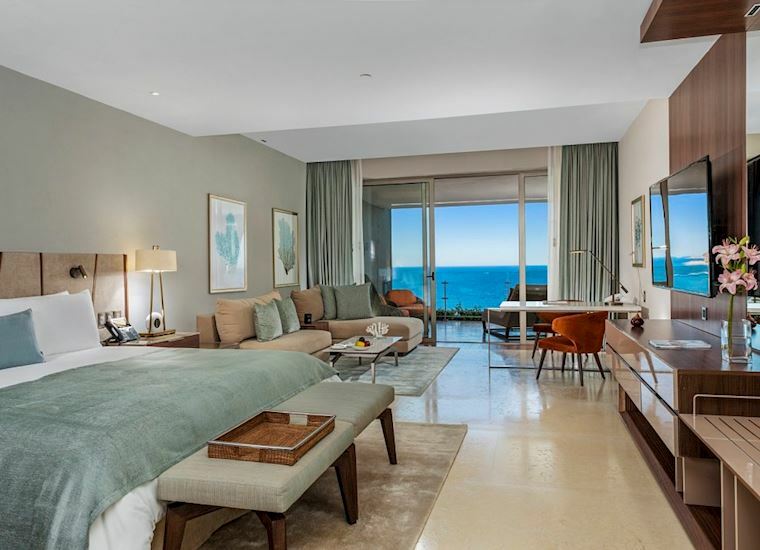 ft., with ocean view and private terraces that seamlessly blend the indoors and outdoors. There's a choice of suites, depending on your needs. Explore our Ambassador Suites, with spacious living areas to relax complemented by premium stocked mini-bars. Or retreat to our Grand Class Suites where your own plunge pool is an extra touch of indulgence. 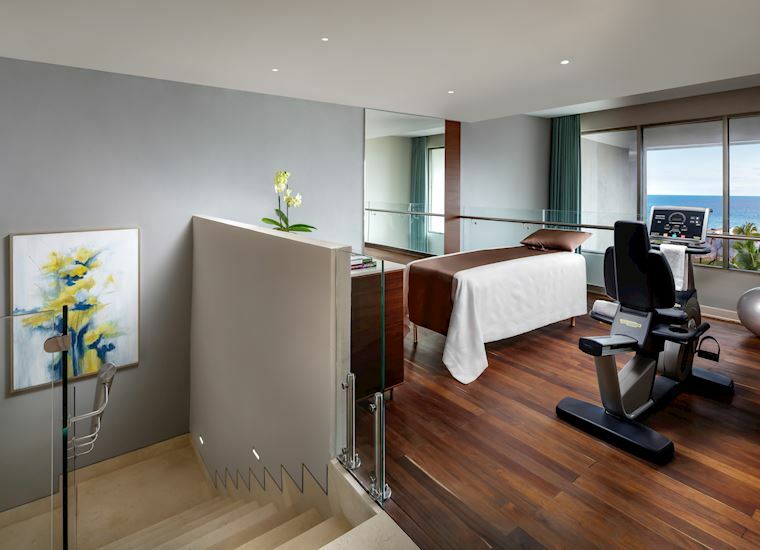 Renewal awaits in our stunning Wellness Suites, with organic food and beverage amenities, fitness features and special services. And even families, have their special suites, to make for unforgettable memories. Whichever you choose, you'll enjoy the pampering and warm service of a 24 hour personalized butler concierge. 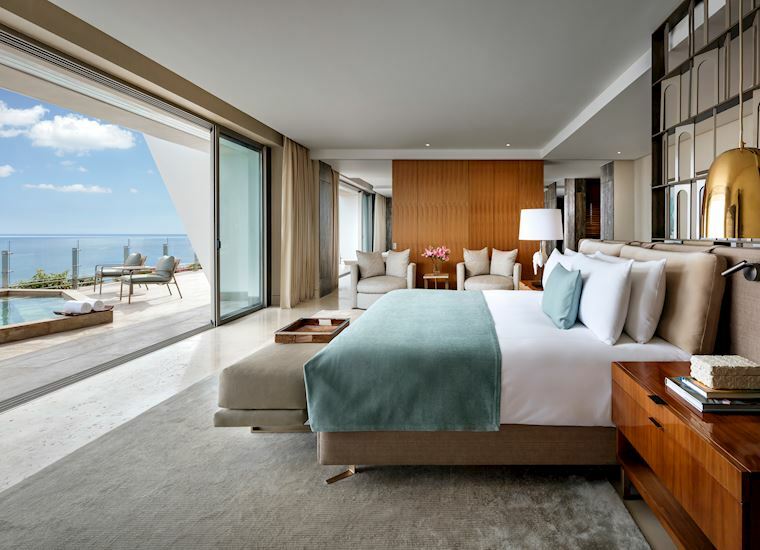 The suites are gorgeous and the views take your breath away. Beyond the vacation we imagined. 1 minor/junior (ages 4-15) 1 infant (age 0-3)100 m² / 1,081 sq.ft. 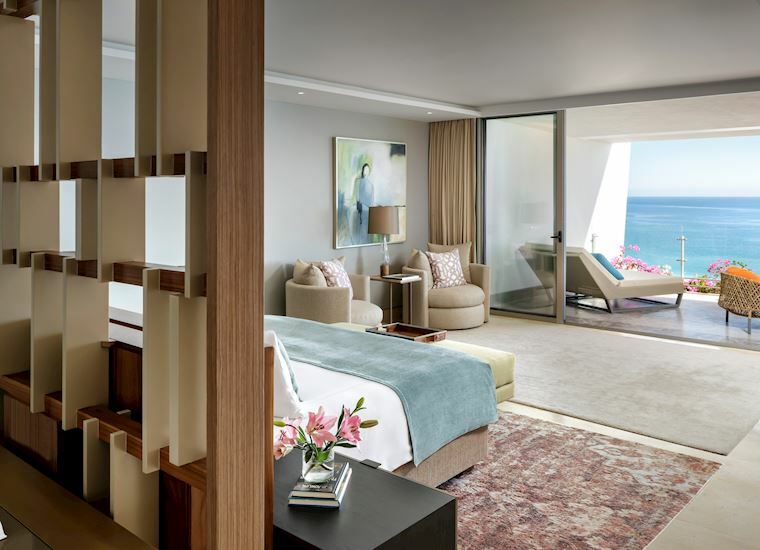 Each of our Ambassador Suites feature spacious terraces with spectacular ocean views and Spa bathrooms complete with jacuzzis, dual sinks and sumptuous rain showers. Treat yourself to a private plunge pool with ocean view. The Ambassador Pool Suites offer ultimate relaxation indoors as well, with a jacuzzi, dual sinks and rain shower. Between 149 - 181 m² /1,608 - 1,949 sq.ft. 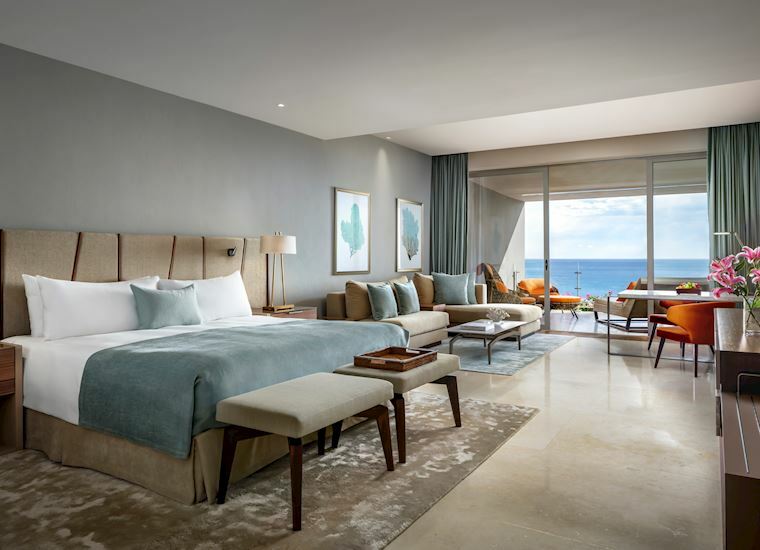 Take in the splendor of the azure sea in this lavish oceanfront suite with private plunge pool. Transcend the ordinary and experience the ultimate couple's retreat. 200 m² / 2,162 sq.ft. 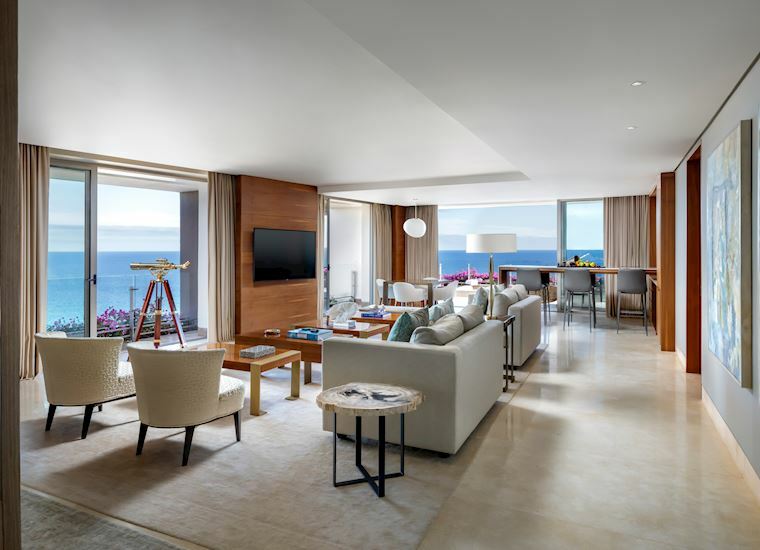 This spacious suite is the perfect arrangement for a dream family vacation, where everyone can spend time together while still enjoying plenty of personal space. 170 m² / 1,829 sq.ft. Discover two breathtaking floors of profound relaxation and healing, with a curated list of amenities, luxury inclusions, and a Wellness Concierge to guide you every step of the way. 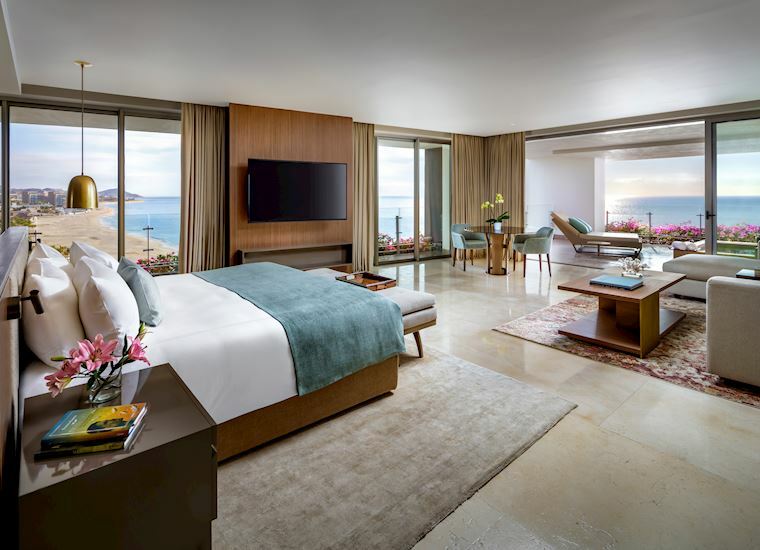 Drink in the fabulous views from this double-size luxury suite, where you can take your time to explore every detail and each exquisite space for relaxing and entertaining. Experience the height of luxury and grand style. 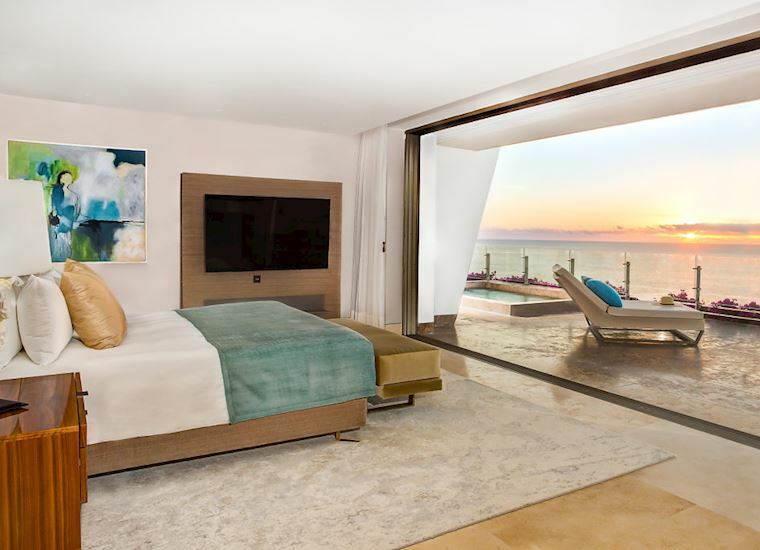 This signature space is the ultimate resort suite in Los Cabos. 602 m² / 6,481 sq.ft. Beauty, luxury and splendor. The Imperial Suite is an unforgettable space to enjoy breathtaking views and unique amenities.